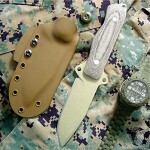 The new prototype for the first ASL Tactical knife will be shipped to us on Thursday. It is currently cut out and sharpened as well as sand blasted. The Tactical Micarta O.D. handle is only partially shaped and not secured yet, but we are still excited. (First Run Delivery June 6) This first survival sized knife will have a blade approximately 4 7/8″″ long, 3/16″ thick, and 1 1/2″ wide. The powder coating will leave no reflective surfaces. The Micarta handle will provide good grasp and will be impervious to water. There will be a good blend between hardness and flexibility with a Rockwell of around 57. An all around flat edge grind and ease of field resharpening has been provided. This is the perfect knife for any special forces member, tactical team, law enforcement, first responder, or survivalist to add to their dependable gear. As a result of this research and testing, our ASL- 5S will also be the ultimate survival and bug out blade. Sheaths will be made in Kydex or leather and there is a separate cost. Call to pre-order and get on the list now. We expect tremendous response to this first knife and will see you in June at the Atlanta Blade Show. Significant discount will be provided to current active special forces members. 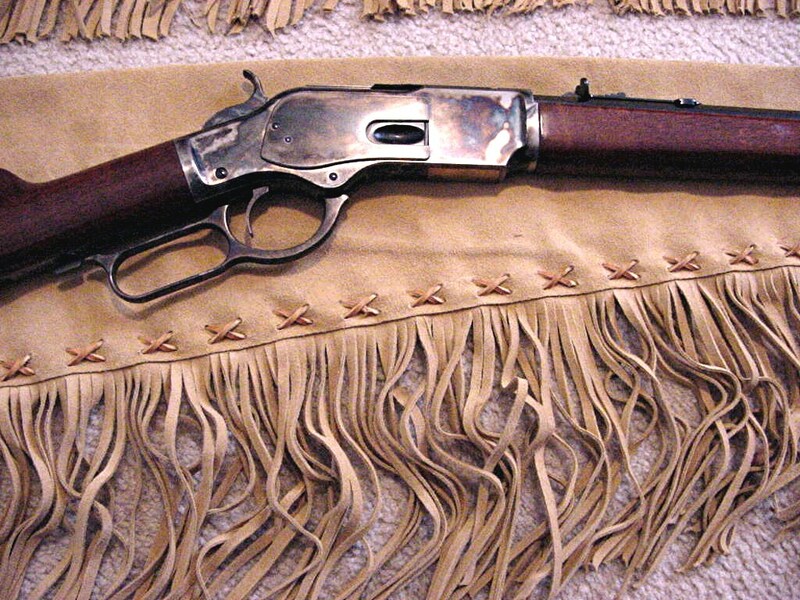 The fourth and final rig attributed to the outlaw consists of Hardin’s most unique gun rig is adapted from our discussion with Leon Metz, who wrote the best biography of John Wesley Hardin’s life. 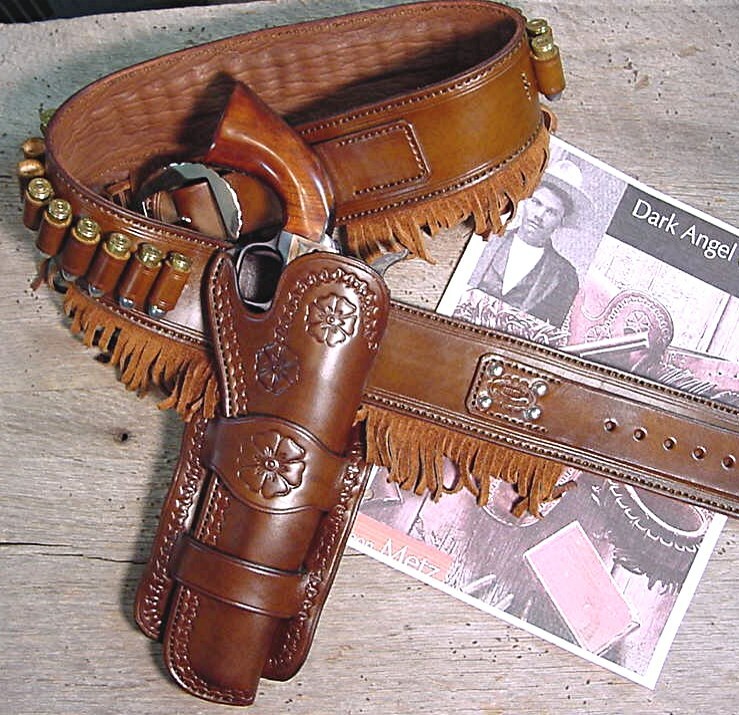 Set includes fringed, billeted gun belt with riveted tongue, oval buckle with edge scallops, and a double drop loop holster with edge line stamping & flower tooling. For more see out HISTORICAL button. 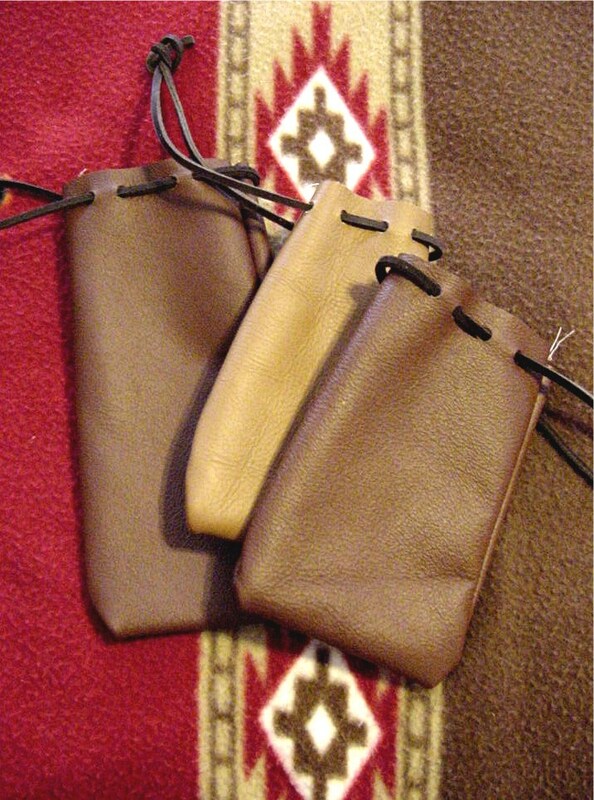 As many of you know obtaining an American made quality suede rifle scabbard is almost impossible. We have just found these scabbards, which are made from the highest grade American heavy weight suede. The full fringe is hand cut and the entire scabbard is hand laced. They are available in 48″ and 53″ and we can make them longer. 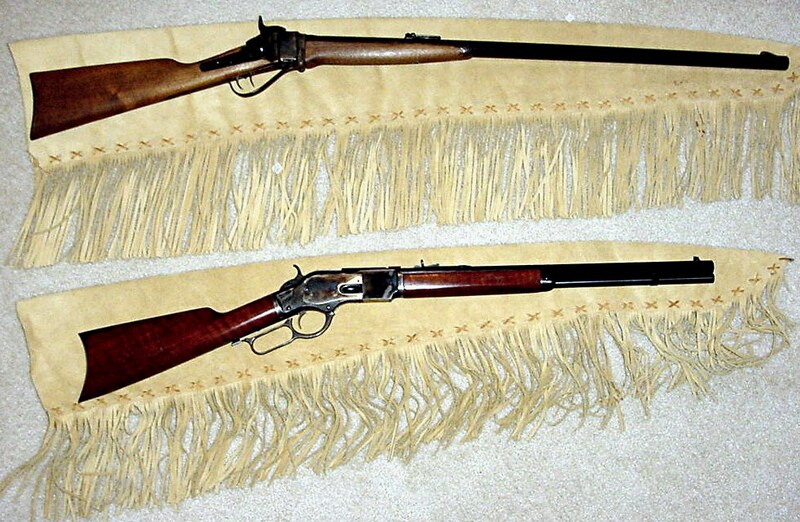 As you can see from the photo a Sharps will fit in the long one and a full size Winchester will fit in the shorter one. For more information please see our SCABBARDS & SADDLE BAG button. Indian replicas not made by Native Americans as defined by 2.5 USC & 305 ET SEQ. A Southern term for a small pouch, secured with a thong at the top, to carry your plunder such as musket balls, a long range Sharps rifle sight, or other goodies. Sizes vary from 3 1/2″ wide to 5 1/2″ up to 7″ tall. Leather cord at the top. Nice usable bag. For more see our BELTS & POUCHES page.